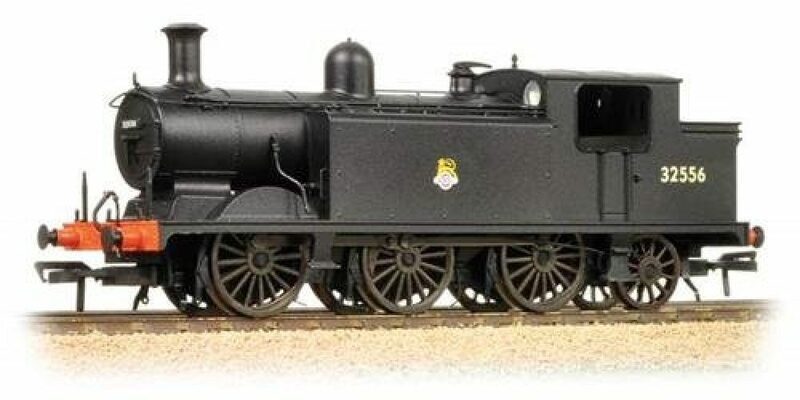 The Bachmann 35-077 is gorgeous Class E railway engine model. 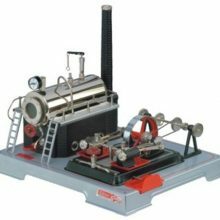 The steam engine is a OO Gauge class and has a great design and sturdy construction. Review of the Wilesco Showman’s Engine D409 The Wilesco Showman’s Engine D409 is a fully working scale model of a steam-driven farm engine, the likes of which would have been used to power agricultural machinery such as threshers and ploughs before the modern tractor. You can still see a small number of engines of this type in the UK today, powering old-fashioned fairground carousels and other rides, as well as at shows and fayres around the country, where they often draw a large crowd of fascinated onlookers. This technically perfect scale replica is painted in traditional colours and carries traditional writing on the side of the canopy indicating its origin in Middlesex, England. 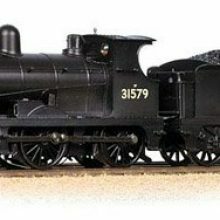 It is delivered ready-made, with no assembly needed, and will look stunning either as a static model or a working demonstration of times gone by. On the model itself, the boiler measures 7.3” by 1.8” and has a water volume of 14in. A water gauge glass is included, and the boiler vessel itself is chemically painted black, giving a durable protective finish. A powerful, double action cylinder powers the engine alongside the red-painted, 3.2” flywheel. Depending on the direction of rotation of the flywheel, the engine can be run in forward or reverse. Traditional chain steering as would be seen on a full-size engine of this type is included along with a spring loaded safety valve, steam regulator, steam jet oiler, footbridge, and steam whistle. A clutch engaged gear wheel allows the engine, and dynamo, to be used while stationary as well as when moving. A dynamo lights the eight LEDs mounted on the canopy of the engine. Water is condensed and reused from the engine, just below the chimney. Users will be able to run the engine for up to 15 minutes on each charge of fuel. Each individual part of the engine is carefully constructed from finely painted, high quality, metal. The model is a total of 13” long, almost 6” wide, 8” high and weighs 4lbs. Fuel, in the form of dry spirit tablets, as well as other consumables, are available from specialist retailers as well as online. 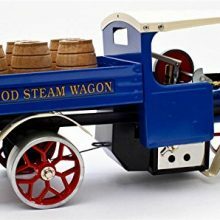 As a working steam engine, this item is not a toy and is not recommended for anyone aged under 18. Where the engine is being used in the presence of children, close supervision by a responsible adult it required. Steam engines can be dangerous, and if not properly maintained there is a very real risk of explosion. Users should be certain to follow all operating and maintenance instructions provided by the manufacturer. Key features: High-quality, steam traction and show engine Manufactured from high-quality metal parts Fully painted Technically perfect, fully working engine Clutch gear enables stationary as well as mobile use Dynamo powers LED lighting around the engine canopy Delivered ready-made, no assembly needed A stunning static model, or fascinating demonstration of technology from times gone by CHECK PRICES	Variants of the Wilesco Showman’s Engine D409 Many Wilesco products are available in different variants – the D409 reviewed here is a working steam model that can be upgraded with a radio remote control. 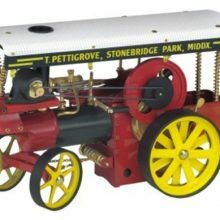 The model also comes in two other variants: Wilesco Showman’s Engine D499 – which is the same fully-built model, with remote control. Wilesco Showman’s Engine D419 – which is a kit for the model (which requires assembly).